My relationship with physical pain is damaged. It always has been. Pain has always been a part of my life and always will be but in the last month and a half since surgery, I’ve had a reckoning with pain. A reckoning that led me down paths of past trauma. A reckoning that left me in more pain. A reckoning that revealed how unhealthy my relationship to pain is and how flawed and fraught my history of pain has been. A reckoning that started to help me integrate while simultaneously creating chaos within. This reckoning ultimately seems to be reinforcing how I cope with pain. Because throughout this process, I asked for help to understand pain, to help me come to terms with how dangerous my relationship with pain has become and I found that there is nothing and no one to help. Three words that need to carry the gravity of more than three words can carry. They need to express the inexpressible. They need to be the words that tell the story that can’t be told. Trauma in healthcare means different things but not usually what these three words must stand for. There are trauma patients that come through the Emergency Room door on stretchers, trauma surgeons standing by. Nurses and doctors who treat these traumas with efficiency and dedication. But they can’t see it. They need to know and I can’t say. They keep asking what’s wrong with me when I need them to know what happened to me. The types of trauma – too many, too varied. The understand the trauma of a gunshot wound or violence or natural disaster. I know they won’t understand my trauma. There’s no time to explain, but it will affect everything. There’s no time to read what I try to write when the words don’t exist to tell them out loud. There’s time for three words. I wrote a thread the other day on Twitter addressing the issue of people not being able to hold back with their “helpful” comments and how holding space is often what folks who are going through difficult times need. It seemed to strike a chord with many, so I’m reposting it below (with additions). Before I repost, I will say that offering unsolicited advice is a common problem people in patient and disability communities face. People who think that they are being helpful by telling you what worked for them. Or people who want to interject with problem solving. Or people who want to turn the discussion to fit their needs – their need to be seen as knowledgeable/right, their need to be seen as helpful, their need to have their experiences and emotions validated first. This is not okay. I think many disabled people are becoming more assertive in saying unsolicited advice is not helpful and it crosses boundaries. But when we do, we are met with backlash of those who are “helping” as not being grateful enough or as complaining too much. Essentially, “well why are you saying anything if you don’t want to fix it?” or the versions of those “helpful” people saying that hearing someone relay their experiences is “too much” for them. This dynamic needs to change. People need to respect boundaries of those expressing themselves, validate those experiences, hold space, and reach in with humility. Dear Twitter users, It is perfectly ok for you to read someone’s expressions of frustration, obstacles faced, upset, or other emotions without jumping in with “solutions.” It is healing and healthy for people to express themselves as they process their realities. 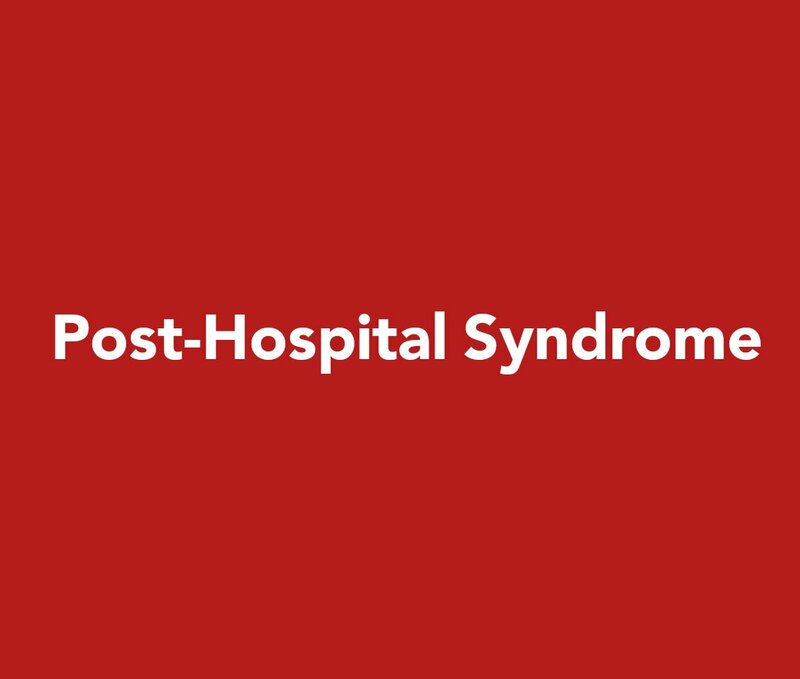 In 2013, I came across a perspective article by Dr. Harlan Krumholz in the New England Journal of Medicine entitled: Post-Hospital Syndrome – An Acquired, Transient Condition of Generalized Risk. It was the first time over years of hospitalizations that I felt that someone had finally hit on part of the hospital experience no one talked about – going home. It finally put a name to something I’ve experienced but could never put a name to – something I wanted to explain to my doctors (both inpatient and out) to help improve my care. I wanted them to understand that while hospital stays are coded as “events” – as singular points in time with a beginning and end, distinguished “episodes” unique from ongoing care, they aren’t singular events for any patient. Our story starts long before and continues long after. And that part in between, the hospital stay itself, has long lasting effects. Post-Hospital Syndrome is one of those effects. Not knowing whether I’d be out of the hospital in time to submit my comments, I posted an early draft this weekend. I had the opportunity to update and amend that draft and submitted my final comments just now at regulations.gov. The link below will take you to a .pdf of the comments submitted. For those who still wish to comment, the commenting period is open until February 12 2019, at 11:59 PM ET. Submissions are accepted here. Your comments do NOT have to be as detailed as mine. You can write general feedback on any of the areas of the RFI or answer any of the questions within to the extent you wish. I highly recommend you do submit comments, particularly on Section 2. As a reminder, I’ve written a recap of all the sections and what they’re all about here. And if you need a few tips on how to submit a comment, I’ve written a post to help you which can be found here. I will be sure to update you when hear from HHS about the submissions received and any rules the promulgate as a result. 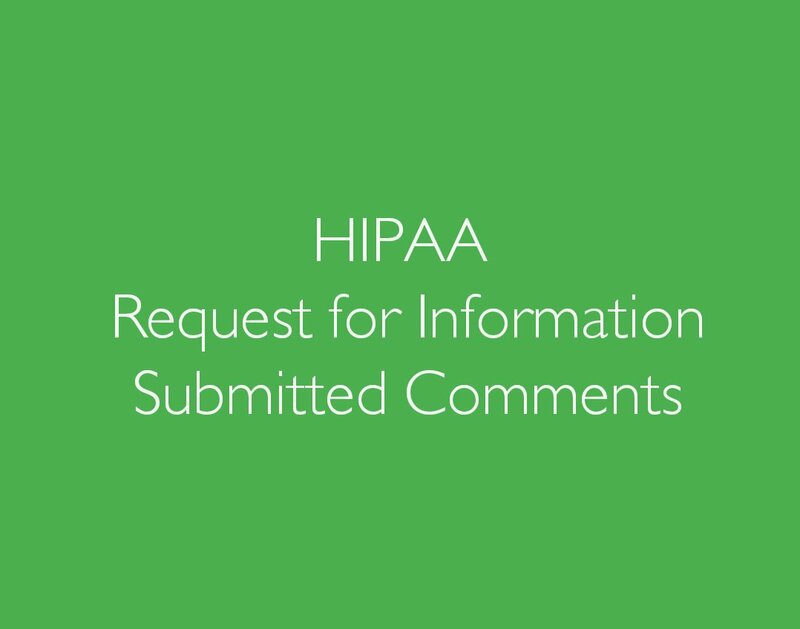 Thank you for all who have engaged in this process – whether you took the time simply to learn about HIPAA or were able to submit comments yourself. Your voices matter and will make a big difference in the lives of patients everywhere. Comments are due on Tuesday, February 12, 2019. If you aren’t sure how to comment, this post can walk you through it. 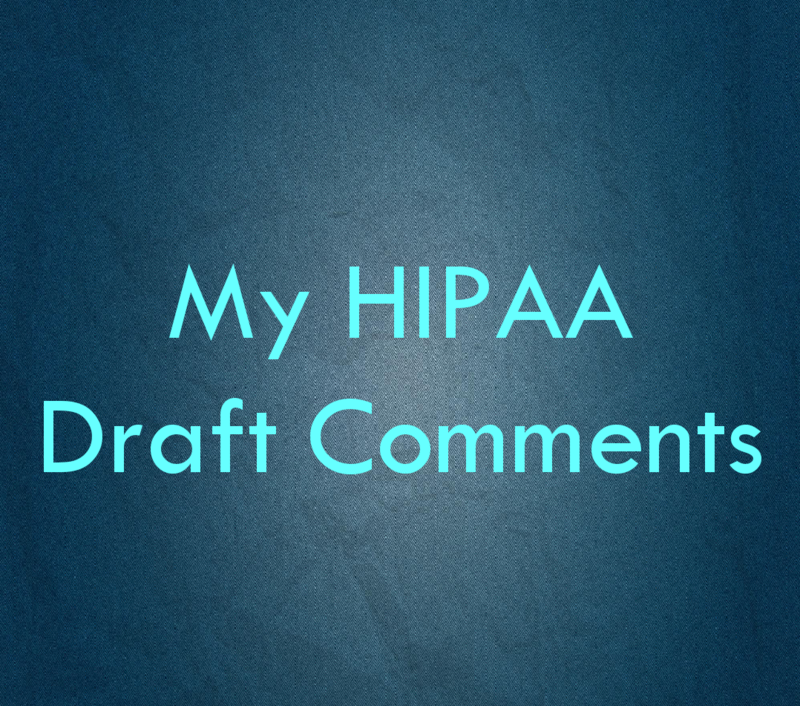 For background on the HIPAA RFI, see my post summarizing the issues here. If you’d like to comment, you can do so here. And the original questions can be found here. Tomorrow will be the 16th anniversary of my first stay in a psych ward. I was placed on a 72-hour hold after a suicide attempt. The second semester of my second year in college and while I’d attempted and had suicidal ideation before, this was my first time actually admitted. I’ve been in 6 psych wards total and I’ve written a bit about my experiences in the past. Today, though, I want to write about how psych wards create trauma and what truly terrible places they are when you are really struggling.